values. Whether you’ve read the book and want to know where you fit, or haven’t but you’re curious, take this quiz to figure out your place in the popular future society. Feel free to comment below what your faction is as well as your thoughts on this interactive quiz. 1. Best kind of music? a) I don’t listen to music. c) Anything that I like, genre doesn’t matter. d) Heavy metal or rock ‘n’ roll. 2. You see someone you know in the hallway get knocked over by a few upperclassmen and their stuff goes everywhere, what do you do in response? a) You quickly go over and help them collect all their things, even if it means you’re late to class. b) You try and mediate between the bullies and the victim, with kind words. c) You run and find a teacher and tell exactly what happened, as well as tell the victim they should stand up for their self more. d) You go straight up to the bullies and begin a verbal fight without a thought otherwise. e) You explain to the bullies the psychological evidence about what bullying means, as well as tell the victim the odds he’ll be a rich CEO one day are highly likely. 3. You are at the fair, what’s the first thing you head towards? a) The volunteer booth to see if they’re in need of extra help. b) The petting zoo with the concert hall beside it, where some country star you like is playing. e) The informational booths set up all around. 4. If you could have any pet, what would it be? a) A dog, something selfless and loyal. b) A horse to ride around in your freetime. c) A parrot to repeat everything you say. d) Something exotic, like a snake, tarantula, or maybe even a hissing cockroach. e) A cat because they’re super easy to take care of. 5. What’s your dream house look like? a) A simple, modest, plain-colored home. b) A big ranch house out in the country. c) A modern condo with black and white interior. d) An apartment in the city with a balcony view. e) An elaborate mansion with huge glass windows. 6. One of your friends is going to spread a nasty rumor about their ex because the ex has a new boyfriend/girlfriend and asks for your advice on the situation. a) You tell them that instead they should be happy for their ex moving on and not spread any rumors. b) You tell your friend that rumors are hurtful and create a conflict-indusive situation, so not to spread it. c) You tell your friend your exact feelings on the situation, even if you think the idea is stupid, and they might get mad at you for voicing your opinion. d) You tell your friend they should go to the source and confront their ex or the new person because actions speak louder than words. e) You assess the situation and go to the most logical conclusion, as well as tell your friend all the negative side effects a rumor could bring. a) A documentary on Third World struggles. b) Something relaxing you can watch on a Sunday morning. c) A detective story or crime drama. d) An action thriller with lots of violence. e) A historical account on famous wars. 9. Favorite subject or club in school? b) Art or music class. 10. Which is an item on your Bucket List? a) Volunteer at a soup kitchen. b) To help save the rainforest. c) Be a member on a jury. e) Win the Nobel Peace Prize. 11. What do you value most? a) Your loved ones and community. b) The environment and our world. c) Trust and equality for everyone. d) Being able to express yourself. e) Your education and the future. Mostly As: Abnegation - values selflessness. 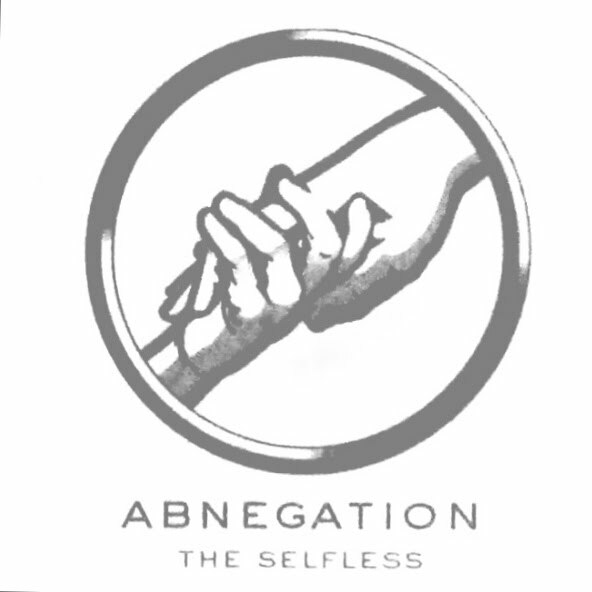 The Abnegation faction is known for their undying devotion and care for the community and others. They dress very modest, often commit what we refer to as random acts of kindness, and spend much time volunteering. Members of this faction tend to be very giving and even though they’re often referred to as “Stiffs” by other factions, Roth herself said Abnegation is her favorite faction, admitting they “generally live beautiful, good lives.” The main character Beatrice Prior is originally from this faction. Mostly Bs: Amity - values peace. 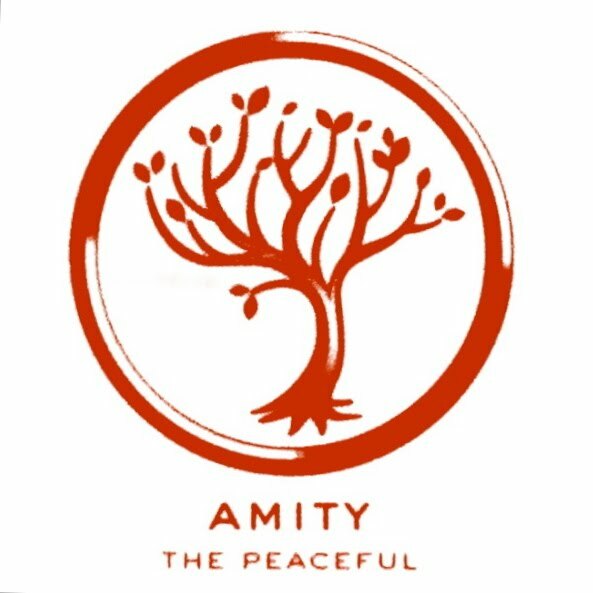 The Amity are the peacekeeper faction. They live farther outside the city and produce all the food other factions eat. Amity love relaxing and playing instruments out in the apple orchards. Members of this faction tend to avoid conflict and also have an extreme desire to save the planet, they’re essentially the tree-hugger faction. A notable character to read up on from this faction is Johanna Reyes, the faction leader. 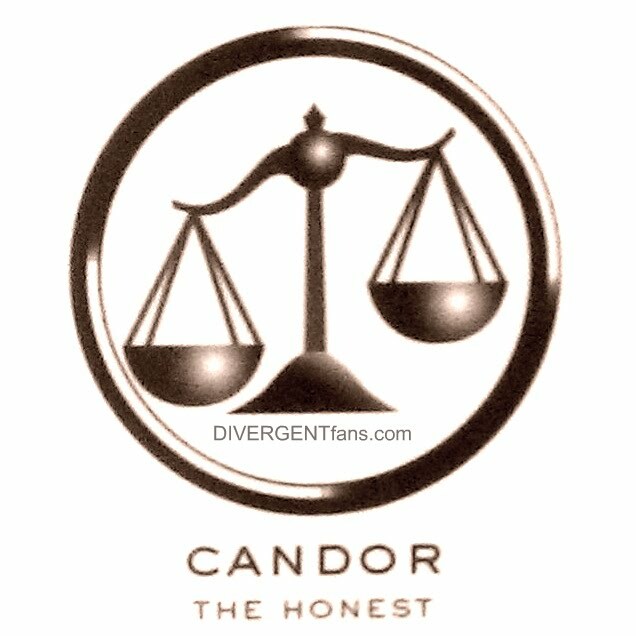 Mostly Cs: Candor - values honesty. Candor value the truth above all else. They are frank in their opinions and feel no necessity to hide how they feel, even it can be construed as harsh. Members from this faction are sincere and open, as well as trustworthy. They tend to have a high affection for equality—especially before the law—as well. A notable character to read up on from this faction is Christina, Tris’s best friend. Mostly Ds: Dauntless - values bravery. 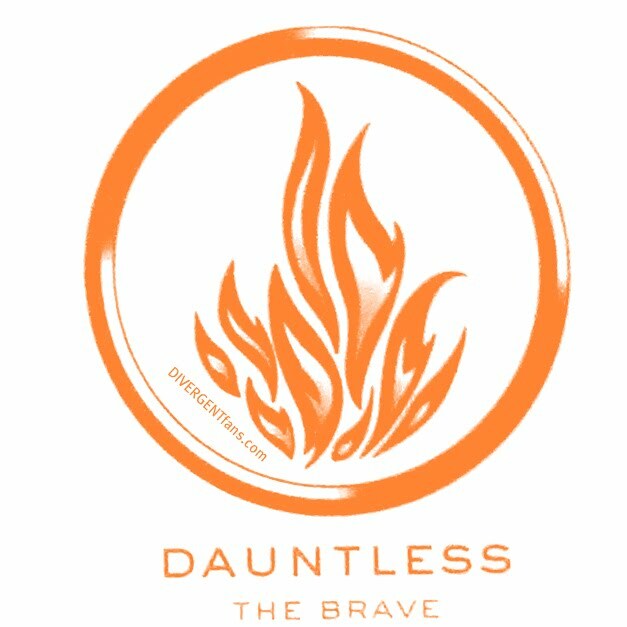 Dauntless value above all else bravery in any situation. They’re fierce warrior types who shoot first and ask questions later. Members of this faction are typically huge adrenaline-junkies—their preferred method of travel is jumping trains—and they tend to bring a lot of noise and commotion where they go. Most of them have tattoos and Dauntless is famous for their insanely good cake. The majority of Divergent takes place in Dauntless faction, so read to find out more! Mostly Es: Erudite - values intelligence. 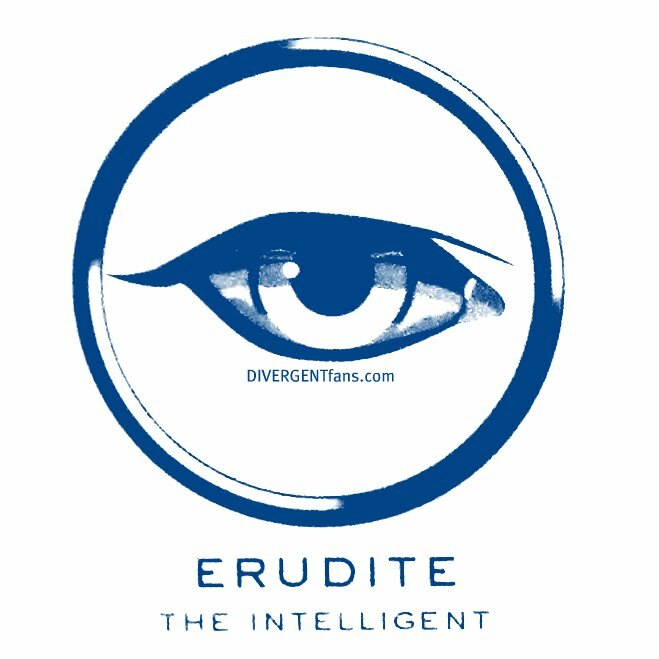 Erudites are the genius faction. They’re extremely smart and well-briefed in their sciences. Members of this faction tend to be insatiably curious about everything and assess all situations for the most logical solutions. Erudite members take on some of the most important roles in society like doctors and teachers. A notable character to read up on is Tris’s brother Caleb, as well as the vindictive Jeanine Matthews.